in 2009 and look for a Galaxie. but only online. For there where no real Galaxies in Austria, neither '64s nor '63s. At a certain time I had quite a complete database of all Galaxies offered in the US. I had contact to some sellers, most of these contacts were dissapointing in one way or the other. But one day in early 2010 I discovered this one in Bremen/Germany. It was advertised in http://www.mobile.de/. 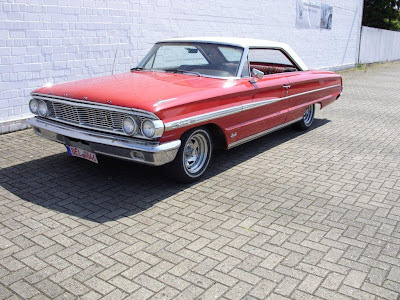 The dealer promised a Galaxie 500 Desert Car from Arizona, rangoon red, white roof, powersteering, powerbrakes rustfree Z-code with an engine swap to 428 Cobra Jet. Bremen is about 700 miles (1000 kilometers) from my hometown so I 2010 convinced my wife to spend our holidays up north in Germany and go see the car. 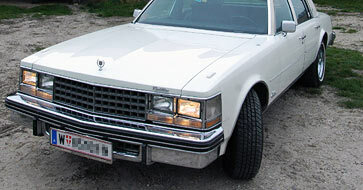 But our timing was bad, we missed the dealer, time was running short and so we had to leave without seeing the car. So I took a buddy with me for moral support and off we went to see what its worth. In my next post I will tell you what happened next..